Weekend roundup time! 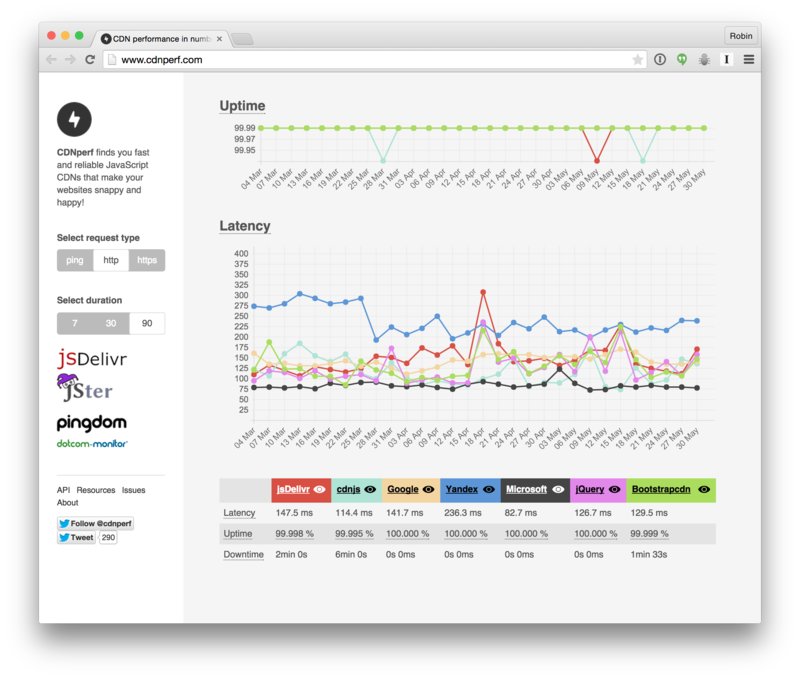 From the multitude of Grunt and Gulp plugins to web apps that can help us visualize our websites with data, learning all the ins and outs of performance tooling is tough. I thought it might be useful to catalogue as many tools out there as I could find. A CDN distributes your website's assets across the world in order to deliver them as fast as possible, regardless of the geographic location of that particular user. CloudFlare works all it's magic (CDN being just a part of that) by being your DNS server, so all requests to your site go through them. 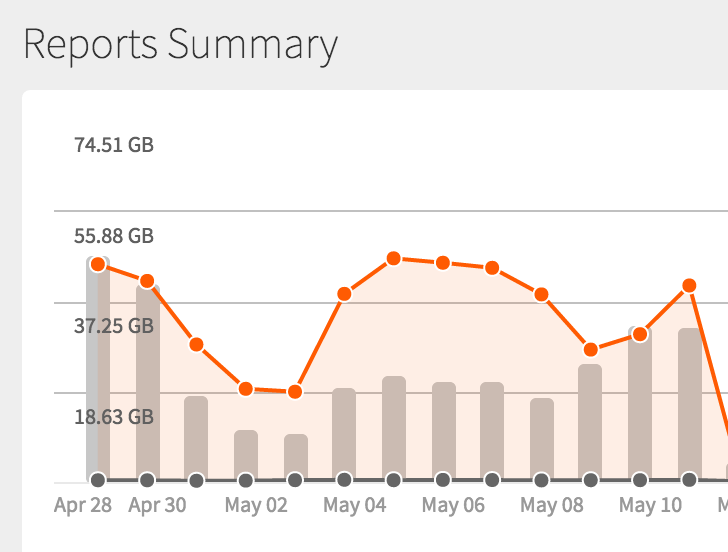 CloudFlare designed its CDN without the legacy of the last 15 years. Our proprietary technology takes advantage of recent changes to hardware, web server technology and network routing. In other words, we've built the next-generation CDN. The result is a CDN that is easier to setup, more affordable, and performs better than any legacy CDN you've tried before. 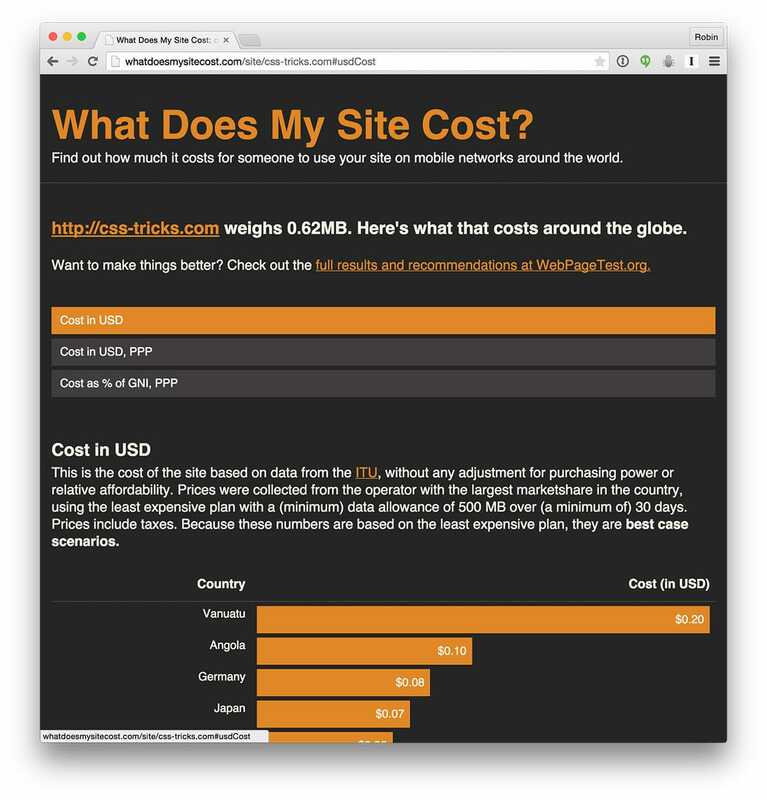 CSS-Tricks uses MaxCDN to host all our static assets. It integrates nicely with WordPress and W3 Total Cache such that we really don't do anything special, assets are just moved to the CDN and linked to properly. Our network is equal part site accelerator and realtime control center. We built it so that both your customers and DevOps will get the maximum benefit of a next-gen CDN. Amazon Web Services version of a CDN. There are CDNs out there that don't host your own arbitrary assets like the above do. They just host popular files and welcome you to link to them there. Typically not the greatest idea for production sites (you might as well concatenate your assets and server from your own CDN), it's still useful for easy (and quick!) access to these assets. These services use metrics such as time to first byte or the render time of a website to grade its performance. Some will also check as to whether or not particular assets have been cached or whether there are multiple CSS or JS files that should be concatenated together. 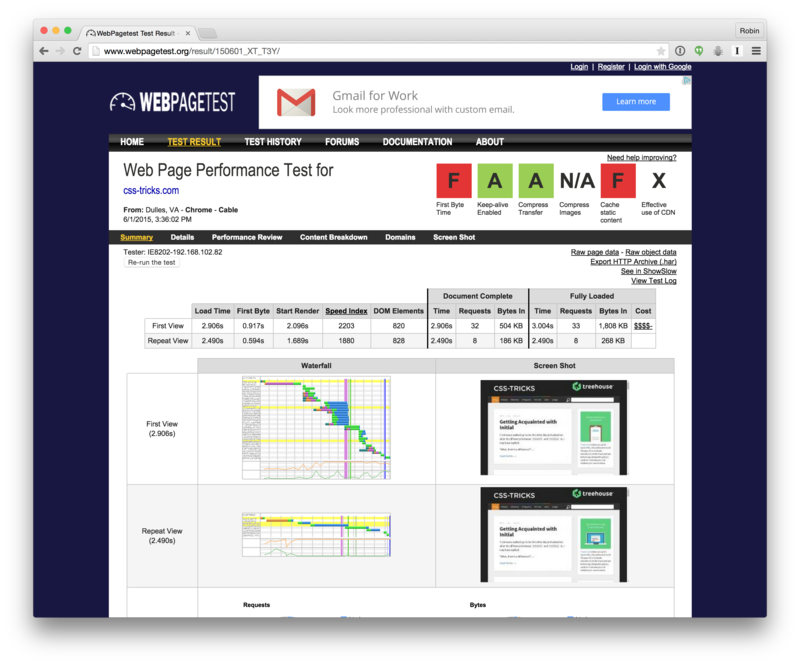 WebPagetest is kind of the gold standard in performance testing, as it gives you all kinds of useful metrics to work with, like a general score to work on improving, a filmstrip to see what is visible when as your site loads, network waterfalls in browsers that don't normally offer that, and more. 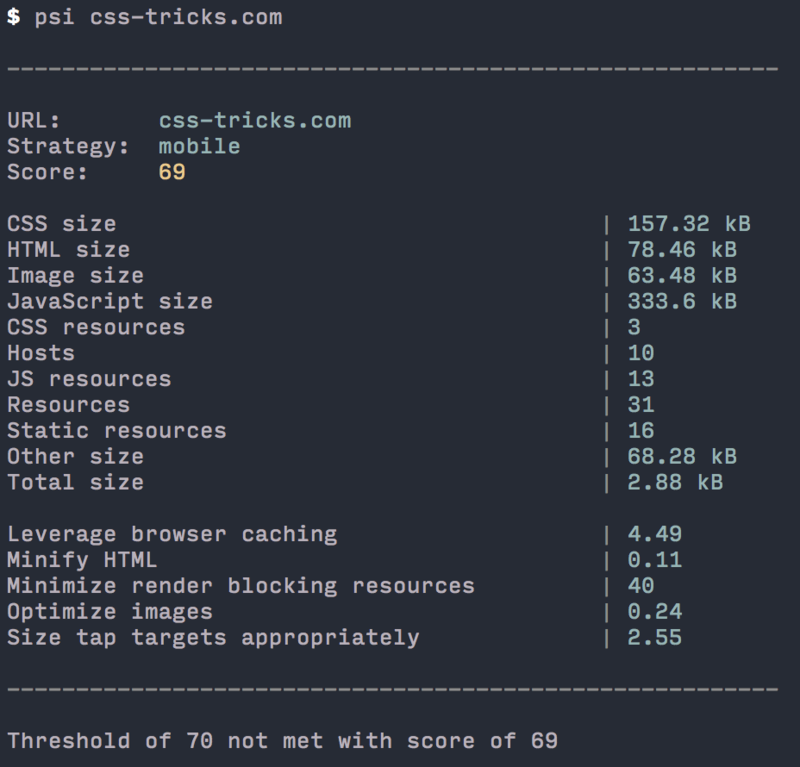 WebPagetest's services are also available as an NPM module and command-line tool with the API wrapper. webpagetest-mapper: Map WebPageTest result data into human-readable document formats. 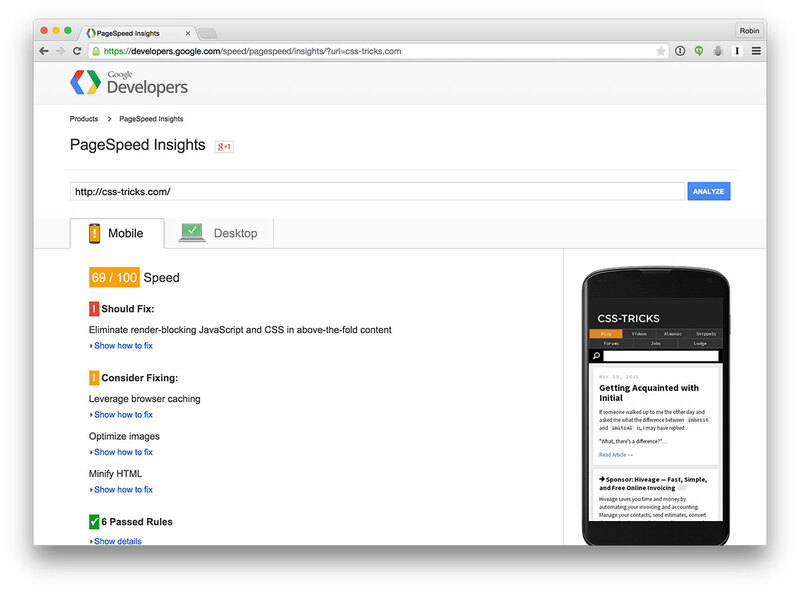 Run mobile and desktop performance tests for your deployed site using Google PageSpeed Insights with tidy reporting for your build process. SpeedCurve allows you to track your own performance as well as the performance of your competitors. With SpeedCurve, you can start making speed one of your competitive differentiators. Speed is especially important to mobile users who expect websites to load faster on phones than desktop, and are quicker to abandon pages that are too slow. 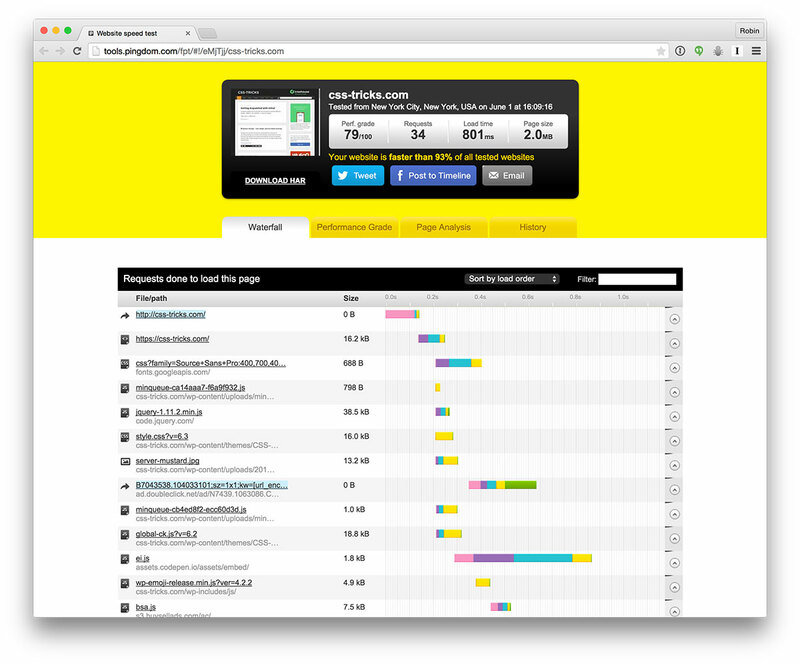 Calibre tracks how long your pages take to load, how big or small your pages are becoming. Janky page? You'll know about it straight away. A service that utilises Google PageSpeed and YSlow to help you develop a faster, more efficient and all-around improved website experience. Super simple example of adding perf timing to the page display during dev work. Grunt task for Performance Budgeting. grunt-perfbudget uses either a public or private instance of WebPagetest to perform tests on a specified URL. It compares test results to budgets you specify. If the budget is met, the tasks successfully completes. If it the page exceeds your performance budgets, the task fails and informs you why. This site allows you to point Speedgun.js at any public facing website to gather important web performance data. It runs five times providing a good view on understanding how a web page is loaded. Display the size of your project. Two super useful tabs in Chrome's DevTools for measuring performance: Audits and Network. The Audit panel can analyze a page as it loads. Then provides suggestions and optimizations for decreasing page load time and increase perceived (and real) responsiveness. 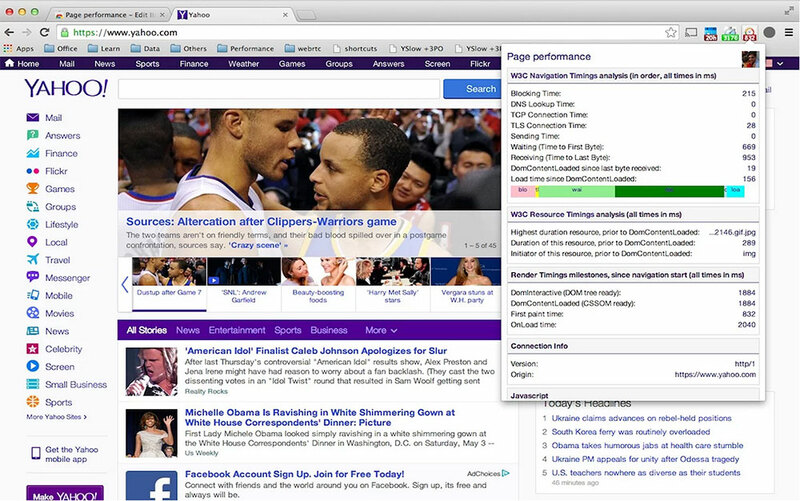 This extension is a hack that provides a quick analysis, of page performance, on a modern Chrome browser. If multiple tabs are open, the extension automatically provides performance analysis for the page on the active tab. 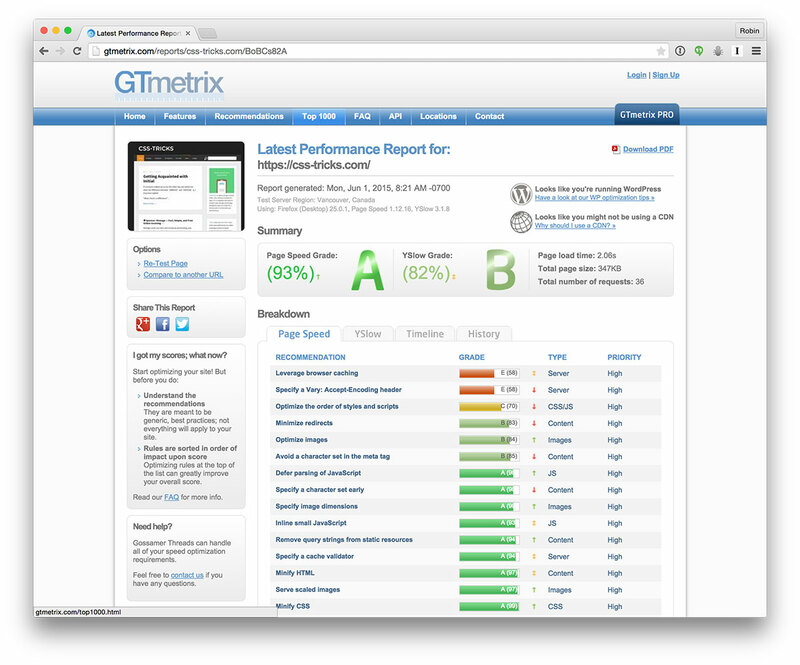 We audit the page load and rendering performance of your website. 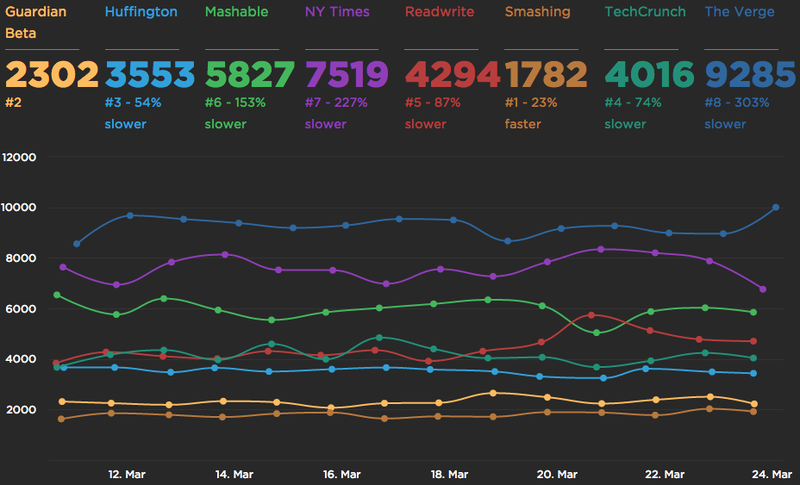 Hating slow and janky websites, we are on a mission to help load websites in milliseconds and perform jank-free. 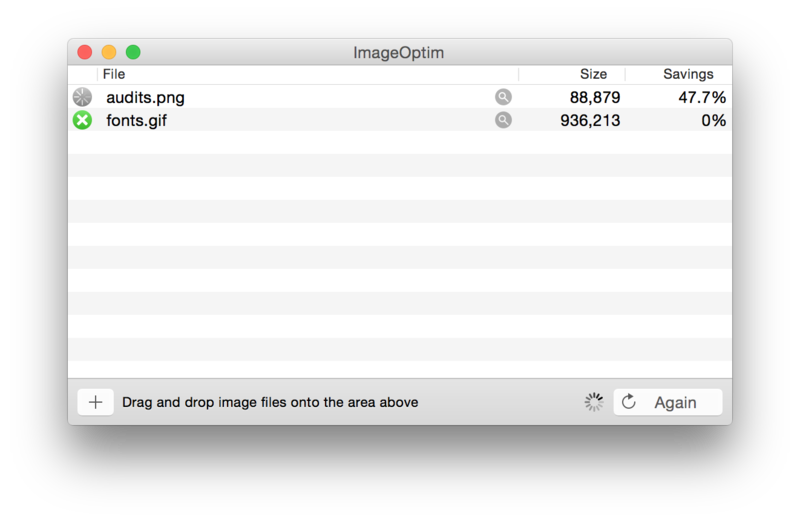 ImageOptim is a free app that makes images take up less disk space and load faster, without sacrificing quality. It optimizes compression parameters, removes junk metadata and unnecessary color profiles. Also available as a Grunt or Gulp plugin. If you need an interface rather than a CLI to do that then you can download the app. Like it's raster brethren, SVG should be optimized before being used on production sites. There are several great tools for that, but as Raymond is about to show you, the best results come from a deeper understanding and a little manual work. Trimage is a cross-platform GUI and command-line interface to optimize image files for websites, using optipng, pngcrush, advpng and jpegoptim, depending on the filetype (currently, PNG and JPG files are supported). 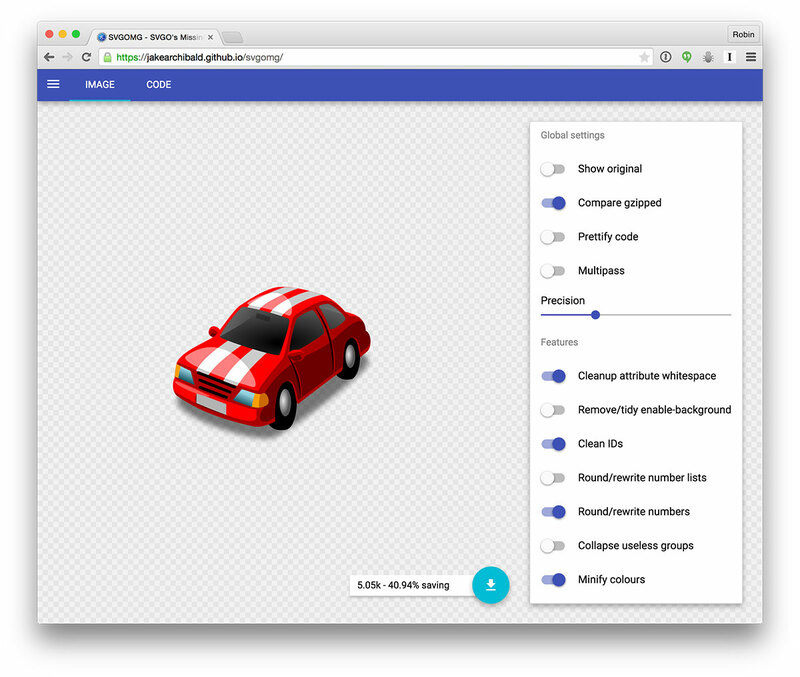 A website for working out which CSS properties effect the layout, paint and composite operations of a browser. 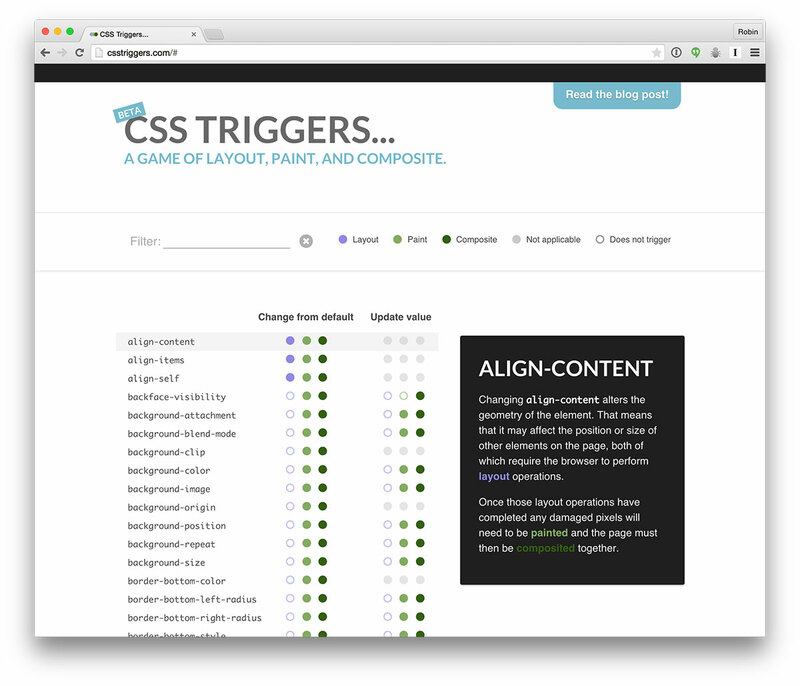 You can read more about CSS-triggers in the complimentary explainer post. 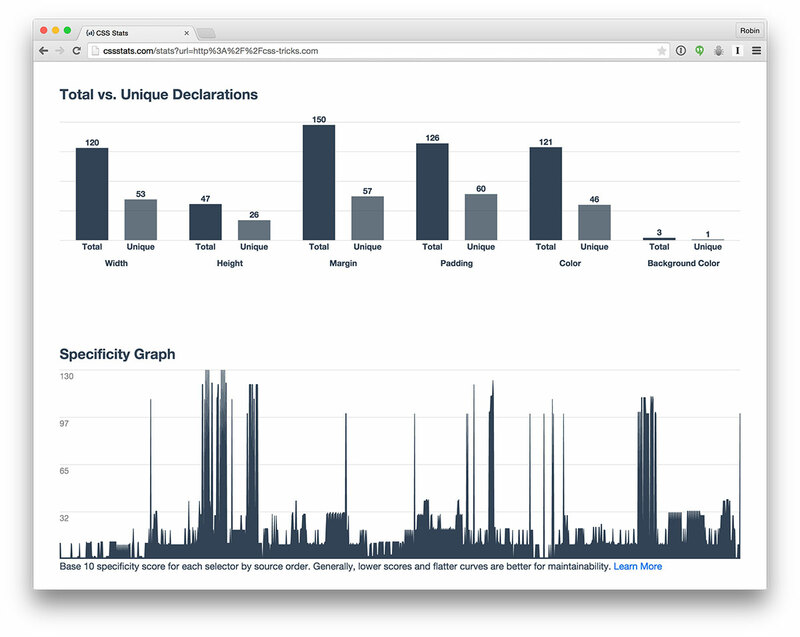 Webapp to visualize various stats about your CSS. CSS minified. Because CSS is on the critical path to rendering pages. It must be small! Or else! Available as a Grunt or Gulp plugin. Also available as a Gulp or Grunt plugin. 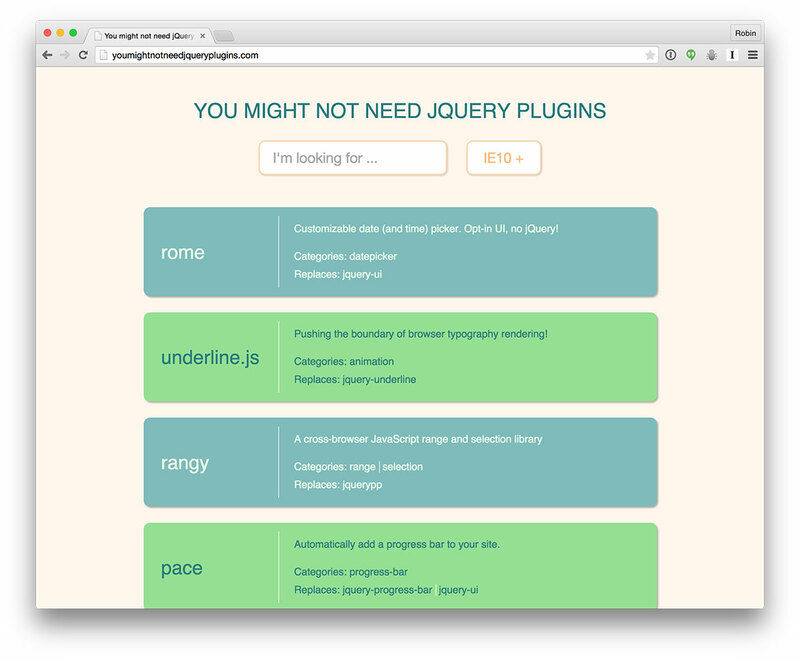 jQuery and its cousins are great, and by all means use them if it makes it easier to develop your application. If you're developing a library on the other hand, please take a moment to consider if you actually need jQuery as a dependency. Maybe you can include a few lines of utility code, and forgo the requirement. If you're only targeting more modern browsers, you might not need anything more than what the browser ships with. A live WPT as he calls it. Enjoy. You can’t enjoy performance and not love waterfall charts. And a WPT bulk tester, for batch testing URLs using WPT – ‘the greatest perf tool on the planet’ – Steve Souders. About “Performance Testing” category, please give a try to https://www.dareboost.com, sure a great one! Great list! Here’s another little gem I’ve found and use in my build: grunt-contrib-cssmin (based on Clean CSS). It supports combining media queries and advanced selector merging (along with all the basic minifying functions). Great Article! Please give a try to https://github.com/msn0/sweter – it reports performance timings to Elastic. Has no frontend, just collects timings every day at a given time. Might be perfect for Continuous Performance Measurement.